Chuda Skincare is inspired by the centuries old Remedea Compound. Its origins date back to Princess Medea of Colchis. She was known for crafting medicinal healing elixirs made from potent botanicals and herbs. This medicinal remedy was also used in Russia and Georgia (country) to heal the skin. Inspired by Medea, the Turmanidze family of Georgia continued the practice of natural healing in the 1800s by creating a powerful medicinal compound that rapidly healed wounded skin. They utilized natural ingredients that grew atop of the majestic Caucasus Mountains. The compound’s ingredients are publicly noted, yet the exact concentration and method of formulation is guarded family secret that has been passed from generation to generation. The compound is potent as ever and lies within the heart of the Chuda Healing Hydrating Cream ($150). Granted exclusive permission by the Turmanidze family to utilize the compound, Dr. Elena Ocher teamed up with a world-renowned chemist to create Chuda: the first-ever skincare to combine the time-honored Remedea Compound with the most scientifically advanced, medical grade actives. Studies in a clinical study has shown a significant reduction in transepidermal water loss between 1-4 hours after application. Additionally, the Chuda Healing Hydrating Cream provided a significant protection from environmental aggressors. The Chuda Healing Hydrating Cream is ideal for various skin woes: dry, damaged, and compromised, or skin that’s experiencing loss of radiance, blistering, abrasions, windburn, sunburn, flaking, chapping, or tenderness from non-invasive cosmetic procedures like chemical peels and microdermabrasion. I’ll admit that I do get apprehensive at times about using skincare products that I’ve never used before, considering how unpredictable my skin can be. There are some days that it’s dry, while other days it is out of control: oily and acne prone. Then there are the days that my skin is seemingly perfect, with a blemish not in sight. 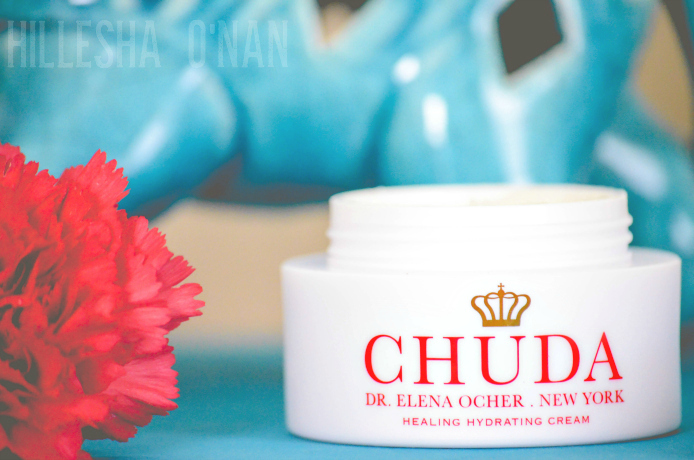 The Chuda Healing Hydrating Cream is perfect for sensitive like mine! It’s formulated to restore skin to its healthiest state — smooth, soft, supple, hydrated and radiant. It’s recommended to apply the Chuda Healing Hydrating Cream morning and night for the best results. It truly has given my skin the balance that it has been needing, plus it has made my face feel so soft that it feels like my skin has reversed 10 years in softness. I also love using it as an eye cream, because it smooths and tones the look of the eye area. Born in Georgia and raised in Russia, Dr. Elena Ocher originally had her sights set on a career as a concert pianist. Her diagnosis of tendinitis charted a new course for her. On the recommendation of her father, at the young age of 16, she applied to medical school and was accepted to the prestigious Pavlov First St. Petersburg Medical Academy. There, she spent six years training as a general surgeon, which included medical service in the Russian Navy. She later furthered her training to include neurosurgery. In 2001, she founded Dr. Elena Ocher Medical, a private practice specializing in pain management, migraines and nerve system disorders. She has received numerous honors throughout her career and is affiliated with several esteemed medical societies. Dr. Ocher’s medical acumen has helped thousands of patients successfully find relief. She believes that the skin offers insight into a patient’s total health, which is usually the first sign of a more serious medical condition. Diagnosing and treating a number of skin issues in her practice, she repeatedly relies on one specific treatment to heal the skin while treating the underlying condition: the Remedea Compound. She has used the Remedea Compound to heal cuts and soothe abrasions. She even relied on it during her time as a medic in the Russian Navy, using it as an antiseptic and anti-inflammatory to heal burns and severe lacerations of wounded soldiers. This post is in partnership with Chuda.